So much wonderful technology goes into today’s air conditioners. When we install a new air conditioner for your home, you can expect great energy savings compared to older equipment. You can also enjoy quieter operation and exciting features that improve your comfort and air quality. Whether you want a simple and efficient unit or a premium model with all the latest smart technology, we make sure you get the best HVAC products with a top-quality installation. 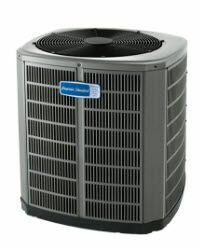 For more info about new air conditioner installation in Chicago’s North Shore area, contact us online or call 847-729-0114. We install American Standard air conditioners that stack up favorably against the competition for each price point and efficiency rating. American Standard air conditioners feature durable aluminum Spine Fin™ coils, Duration™ compressors, and Nexia Bridge smart home compatibility. 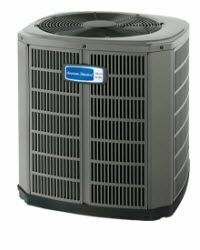 American Standard air conditioners come with 10+ year limited warranties for the key components, along with the peace of mind that comes with an authorized installation. Here are highlights from the air conditioners we install, and there are more options for efficiency ratings and cooling capacity for each tier. 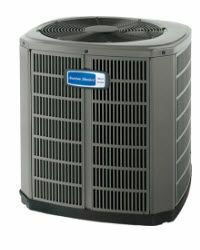 Glenbrook Heating & Air Conditioning is an authorized installer as an American Standard Customer Care Dealer. We have also earned the brand’s prestigious Excellence Award. For you, this means you can trust our team to provide the highest level of expertise for product selection and sizing, installation quality, and customer service. Since 1969, we have been treating our customers like family for every HVAC installation and service that we perform. Choosing a new air conditioner represents an important decision for your family. We make the process as simple as possible with friendly service, expert advice, and a high-quality installation to get you the most out of your air conditioning investment. Explore your options for quiet and efficient air conditioners, such as the American Standard Silver 16, and get advice from a North Shore HVAC company you can trust for great service. Request a free American Standard estimate or call 847-729-0114 for a free quote for an air conditioner installation or replacement in the Glenview, Illinois area.